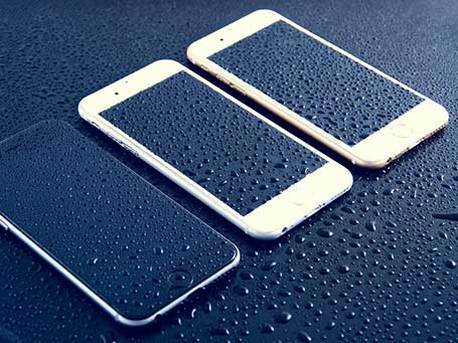 When it comes to the impossible, such as water damage repair, we at Dr. Smart Phones can make it right again. Regardless of the water damage issue, we cater to your needs to make sure everything is back to normal again. We have been in the industry for years, and we understand that water getting into your cell phone or personal electronic device can happen at the most inappropriate times. If you want to get your items back to operating right again, we make sure water damage repair service is done quickly, so you can get back to your daily schedule. Being experts in cell phone repairs, our customers are impressed with the respect and workmanship we provide. Our experienced and caring water damage repair experts, along with our accurate services, make sure we take care of your issue quickly to bring you the help you need. Whether it is a water damage repair issue, or you need to get your cell phone screen unfrozen, we are ready to assist. We are not only known for just our water damage repair service. If you received a new cell phone as a present, but you don’t know how to set it up, stop by so our team can do it for you. Regardless of the cell phone help you need, you have come to the right place. Our cell phone maintenance team is reliable and skilled to manage any time of cell phone emergency. For all your cell maintenance or repair requests, try us. As the leading company for water damage repair service in Irvine, CA, we recognize and accommodate the essentials of your expectations. We have distinguished ourselves from other Irvine cell repair businesses by fulfilling our customers’ requests. Our mission is to give you top notch cell services, regardless of the problem. With our water damage repair and cell maintenance services, you know your phone will be repaired the right way, and you will enjoy our extreme level of excellence and reliability. We've all had a time or two when we've accidentally dropped our smartphone, tablet or phone in water or spilled something on it. Oxidation and corrosion happens immediately. You need to get your phone to a cell phone repair expert to open your phone and dry it out as quickly as you can get to a shop. It may appear to be fine, but if you wait - you will almost certainly experience problems later on. We have a team of well-mannered cell service individuals, and each person who works for us is highly knowledgeable in all water damage repair issues. Our goal has always been to serve our customers with competence. In addition to providing exceptional water damage repairs, our cell service team members are willing to go the extra mile for you. We have separated ourselves from our peers as an industrially progressive and customer-driven business. We offer cell phone and electronic repair services to whatever you need. We strive to go beyond your expectancies in all phases of water damage repairs. When it comes to Smartphone repair, be sure to call a Dr. Smart Phones Irvine ... Your cell phone doctor.